Finally! A truly global Antifreeze! We're excited to announce that we now stock Peak Global Extended Life Yellow Antifreeze & Coolant. 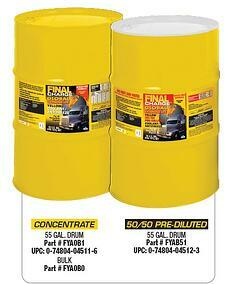 This Antifreeze is for all applications - heavy duty, light duty and automotive. Finally, no more stocking multiple products for multiple uses! Dont forget - May 25th is the last day to order lubes before the price increase! Spring is not looking to be a very fun month for lubricant decision makers out there. We just had the industries FIRST price increase on diesel exhaust fluid last month; We in the process of having this year's first finished lube price increase; NOW, diesel exhaust fluid is going up again. My suggestion, buy NOW and stock up! But do not stock up too much. DEF (pending on the surrounding tempatures) has a shelf life of 2 years. Dennis K Burke will be increasing affected lube products on May 15th 2012. If you know you'll need supply, you can place an order before May 15th at 1-800-289-2875 or via email at lubeorders@burkeoil.com and beat the increase. Finished Lubricants Prices Going Up Again? It looks like we will all be absorbing another pricing increase 30 days for now in the finished lubricant market. Most majors Like Shell, Warren, Peak, Cam2 and Smittys have already announced that they will be participating. I predict some of the other majors such as CITGO, Castrol and ExxonMobil will soon follow. 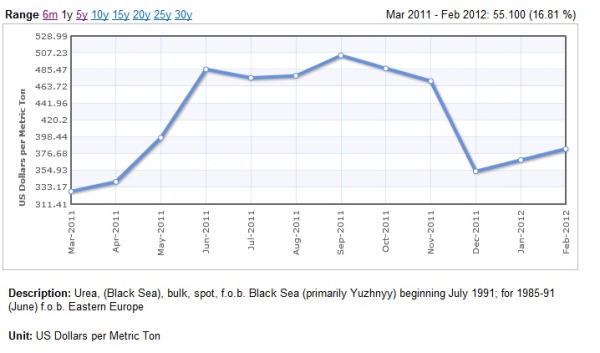 UREA price increase is happening in April 2012, so all distributors and end users of diesel exhaust fluid (DEF) will be effected. If you are a DEF user, please call DKB today to get your latest price. Urea (fertilizer) is mainly used in the agriculture market and changes in the agriculture market, including rising natural gas prices, availability, and global agricultural factors have impacted price over time. Urea price is highly dependent on natural gas pricing, so when natural gas increases, urea follows. Because of its primary agricultural use, Urea is traded as a global commodity, and therefore liable to fluctuate with global conditions. It looks as though there will be a third national lubricants price increase between mid-May and June. The typical suspects are to blame: raw materials, packaging, additives, transportation, etc. The new wrinkle being put into play is the A word: Allocation. Many oil companies have instituted limits on orders based upon a percentage of their yearly purchases and suggest that product shortages could exist. At Dennis K. Burke Inc, we cannot control the price but we have a stable supply of Fleetline Products for all of our current and future customers. Unlike our competitors, we have no delivery or fuel surcharges. To find out how we can save your operation money, call me @ 617-819-3206.